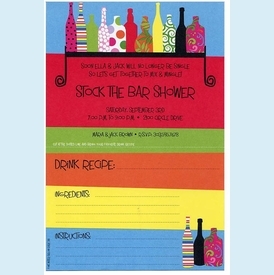 Fun & festive invite features a detachable coordinating colorful drink recipe card. 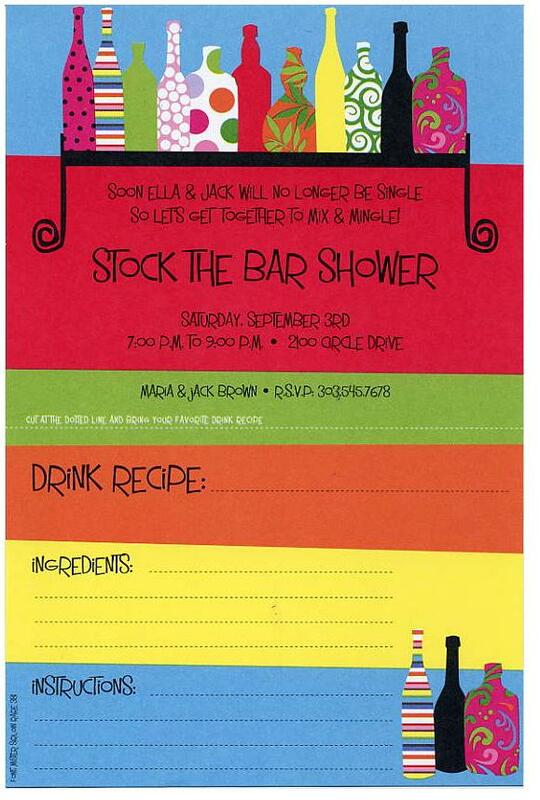 Great for a cocktail shower or stock-the-bar shower. NOTE: Only 5 sets left! SIZE DIMENSIONS: 5.75" x 8.75"